Long-term obsession provides the poet a palette, onto which she squeezes oil-based paint, mixes and smudges them with knives, then applies with an array of brushes, flared, flat, round, or mop. 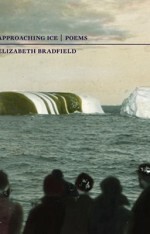 For Elizabeth Bradfield, ice, and particularly the ice of Antarctica, is the obsession, and Approaching Ice, Bradfield’s second collection of poetry, demonstrates the power—and poetic opportunities—of obsession. Approaching Ice is a naturalist’s history of Antarctica. Within these poems, Bradfield is as much a historian as an artist. Through poems dedicated to Polar explorers, like John Cleves Symmes, James Weddell, Ernest Shackleton, and Lynne Cox, Bradfield narrates the history of exploration of Antarctica in a way that appears to progress linearly through the book, but Approaching Ice is not simply a historical accounting. Bradfield takes these stories of explorers and previous expeditions and transforms them with the immediacy of the lyric moment. 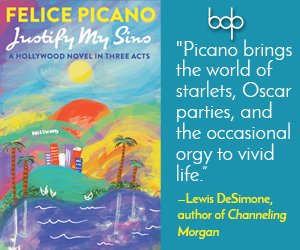 She blends the past and the present with cool, icy precision, then warms it with her own, deeply personal and intimate. between the black rock and the ice. in the crevasses, wingstrokes cracking air. lidding miles of plumed and luminescent fish. I’m ready to be amazed. I’m longing for it. Bradfield’s sense of amazement and longing infuse the extended meditations of Approaching Ice, making it equal parts exciting, painful, stimulating, and mournful. Woven throughout the book are poems titled “Note on Ice in Bowditch.” Some of Bradfield’s most intimate revelations are in these poems, which are artful transformations of Bradfield’s own field notes from her time on the ice. After defining “ice atlas” as “A publication containing a series of ice charts showing geographic distribution of ice, usually by season or month,” Bradfield writes, “Not a bad idea. Can they make one for the climate of the heart?” Later reflecting on “ice bridge” and one meaning: “Surface river of ice of sufficient thickness to impede or prevent navigation,” Bradfield notes, “Barrier and pathway. It’s love that makes me so full of fury, so unable to be tender.” Bradfield transforms the language that codifies the ice among the specialists living and working in Antarctica into a language that is human, reaching ever so tentatively for the painfully universal. About “ice limit,” “The climatological term referring to the extreme minimum and extreme maximum extent of the ice edge in any given month or period based on observation over a number of years,” Bradfield notes, “The definition excludes nothing. It can always be expanded. You can always fall further in love. You can always find love more impossible.” These moments in the book, which blend Bradfield’s keen eye as a naturalist with her vulnerable heart, are some of the most satisfying. Antarctica is proving to be a powerful muse for lesbian writers. Gretchen Legler’s phenomenal memoir On the Ice began the exploration of Antarctica as a lesbian space. This year, Bradfield’s collection continues that tradition. In May, Lucy Jane Bledsoe’s new novel, The Big Bang Symphony: A Novel of Antarctica, will be published. 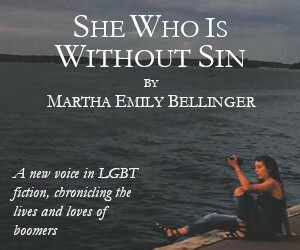 Maybe lesbian writers thrive in the cold. Fortunately, readers don’t have to be in the cold to enjoy these works. Approaching Ice will make your teeth hurt like Bradfield tells us the cold does in Antarctica. Trust me, you will enjoy it.